This is not a diet, or a way to sell you something. It’s just another way to feel good. Our favorite way. It’s a pleasurable path to better health. It’s a chance for you to take a break from the usual routine, to give your digestive system a break and a chance to reset itself. 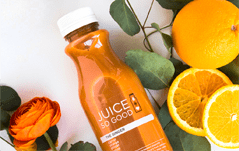 By drinking juice for one or several days, you will be delivering an incredible amount of high-quality nutrients directly to your cells, and frankly, it’ll make you feel great. You might even feel lighter and more energized. Even buoyant. This feeling of euphoria can last days after the cleanse is over. Similar to how you approached the days leading up to your cleanse, you’ll want to add solid foods back to your diet gradually. Start with fruit or perhaps a fruit & vegetable smoothie, a salad, or steamed vegetables and brown rice. Allow your digestive system to ease back in to breaking down foods by eating one type of food at a time, and giving a sufficient amount of time for food digestion before eating your next type of snack or meal (approx. 30 minutes for fresh, raw fruits & vegetables). Pay particular attention to how your body reacts when you eat certain foods, making note of whether it is a good feeling or a bad feeling. The idea is to use the awareness you’ve gained during your cleanse to make more mindful, healthful decisions from this point forward. 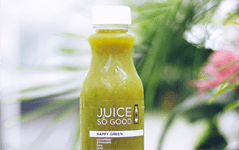 In our humble opinion, there’s no better way to start the day than with the alkalizing, nutrient-rich effects of a Green Juice, and we recommend this on a daily basis. And remember, if you start to veer off the healthy path you’ve set for yourself, you can always do a short re-set with a one- or multi-day juice cleanse, or substitute juice for a meal. In the 3-5 days leading up to the start of your cleanse, start to decrease the amount of highly processed foods. 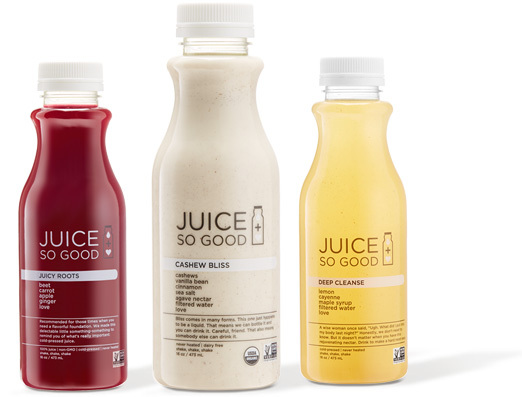 Don’t consume as much meat, dairy, alcohol or caffeine, as they can all get in the way of a pleasant juice cleanse. Hydrate with plenty of water. Drink it, like, always. And don’t just wait until you are thirsty. By staying hydrated, you will not feel hungry, grumpy, or light-headed. A good rule of thumb is 16 ounces of water between each juice. If you do get hungry, have more juice. You can also try herbal tea (no caffeine) or flavored (not store-bought) water. You can make flavored water by adding slices of cucumber, lemons, strawberries or any other fruit or vegetable to your water bottle. As long as you are hydrated and feeling good, you should be fine to do whatever exercise you normally do, including activities like hot yoga, running, and Olympic weightlifting. Just be aware that you may experience lower energy or fatigue. Listen to your body and slow down if you need to. You are giving your body a chance to reset itself, and you don’t want to tax it too much. 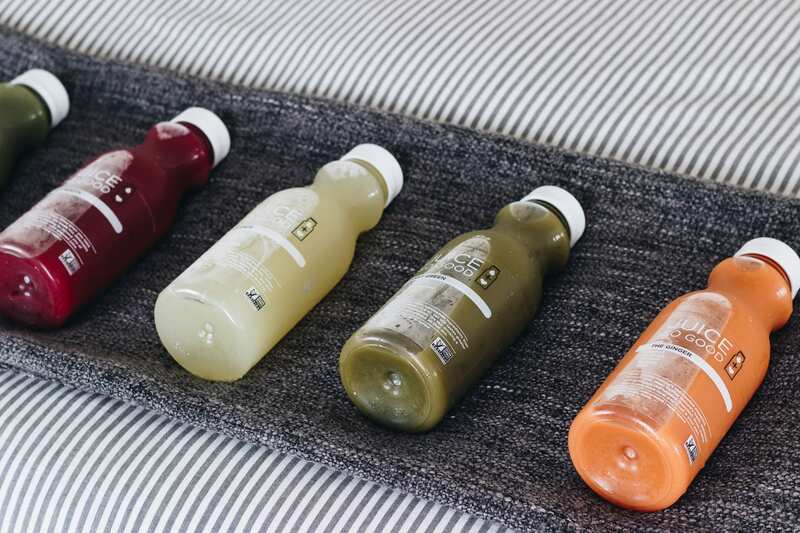 Getting a good night of sleep is extremely beneficial during your juice cleanse. Try to get around 8 hours of quality sleep. Fluff your pillow more before bedding down if you think it will help. The idea of a juice cleanse is to let your digestive system focus on absorbing nutrients and cleansing instead of expending energy on breaking down food, but if you feel lightheaded or have trouble focusing, try a few slices of raw vegetables. We like carrots, celery, cucumbers, a small piece of fruit, or a half an avocado. (Great, our mouths are watering.) If you do eat something, don’t sweat it. It’s not supposed to be miserable. Just get back to your juice schedule. No guilt. No regrets. 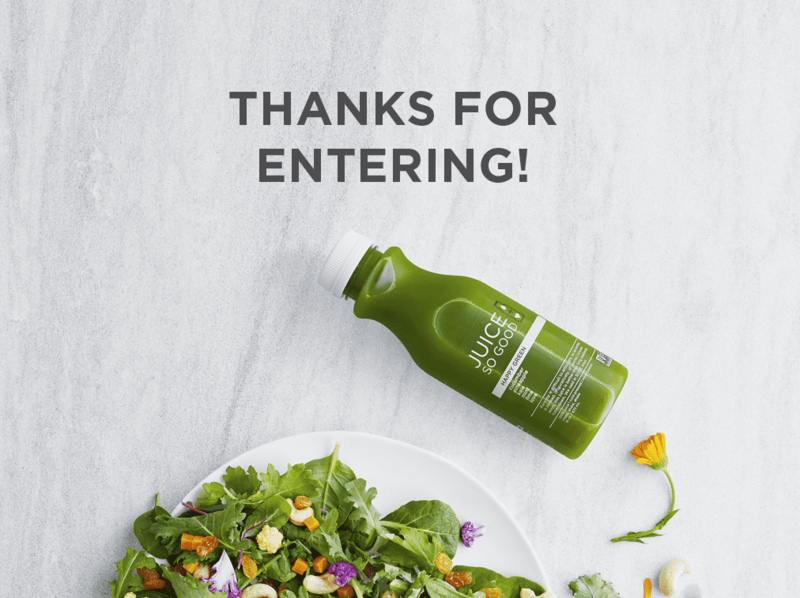 During the cleanse, you may experience some of these detoxification symptoms, which are completely normal: headache, nausea, diarrhea, or irregular bowel movements. If you normally consume a lot of caffeine, headaches may be a symptom of caffeine withdrawal. Remember: if you feel lightheaded or unable to focus, eat a piece of fruit or some raw or lightly steamed vegetables. If this is not sufficient to curb your symptoms, consider eating a light meal of non-processed food. Some people do require a higher daily caloric intake than a juice cleanse provides. It is important to listen to your body. If the symptoms do not subside, please seek medical attention. QUESTIONS? Reach out to us at hello@sogoodsoyou.com. Please include your phone number. Disclaimer. It is advisable to seek professional [medical] advice prior to initiating any new regimen. 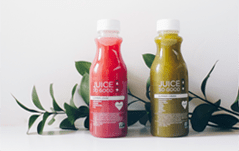 Juice So Good is not a medical organization and Juice So Good nor its employees and/or staff can give any medical advice or diagnosis. Any/All information garnered from So Good Brand, Inc. shall not be interpreted as a substitute for medical advice or a Doctor’s consultation, evaluation, or treatment. TAKE NOTE. So Good Brand, Inc. is NOT a Medical Doctor. We do NOT practice medicine. We do NOT give medical advice. This is NOT medical advice. So Good Brand, Inc. is not licensed to practice Medicine. If you need Medical advice please seek out a professional Medical Doctor. Nothing on this literature shall be construed as Medical Advice.